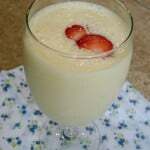 Allergy Friendly Orange Julius - Dessert Now, Dinner Later! 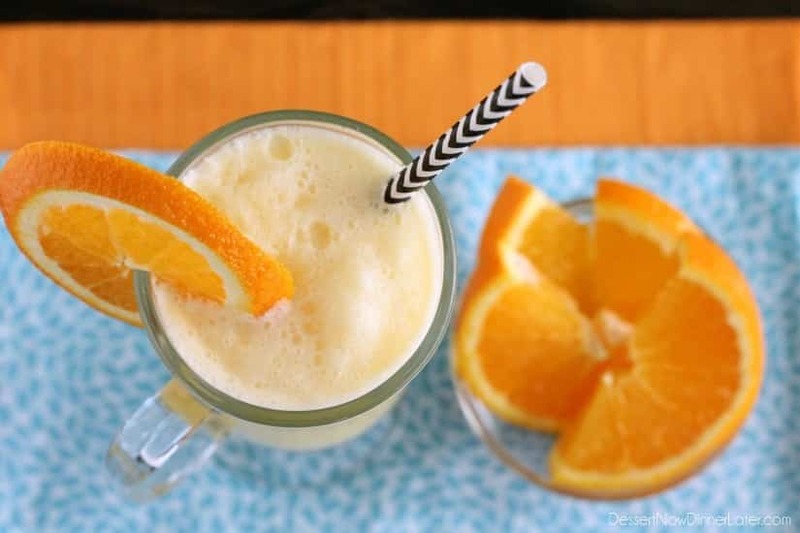 This Allergy Friendly Orange Julius is creamy, frothy, and delicious, yet dairy and nut milk free! It’s National Food Allergy Week and so I’ve teamed up with a few other bloggers to bring you some delicious allergy friendly recipes! (Scroll to the bottom of this post for more recipes and a Blendtec GIVEAWAY!) Did you know there are 8 foods that are responsible for 90% of food allergies? They are: milk, eggs, wheat, soy, peanuts, tree nuts, fish, and shell fish. Our family has been fortunate enough to not have to alter our diets because of a food allergy, but I know there are so many people out there who have to change what they eat due to an allergy, so I thought it would be fun to re-invent one of my favorite drinks to make it dairy and nut free. 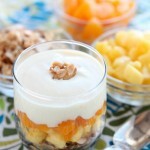 Some of you may be thinking, Orange Julius doesn’t have nuts in it, so of course it’s nut free! Well, a lot of dairy-free people use nut milks, which wouldn’t work for those who have allergies to tree nuts, so this recipe can use rice milk OR coconut milk. Now, before you get after me for coconut milk being classified by the FDA as a tree nut, let me assure you that coconut is not a common allergen and is not related to tree nuts. If you have a tree nut allergy, consult your physician to find out if you need to avoid coconut. If you do have food allergies, what is one of your favorite classic recipes that you alter to make allergy friendly? I’d love to hear about it in the comments! Blend on high speed until smooth and frothy. For extra orange flavor, add the flesh of one orange to the recipe. 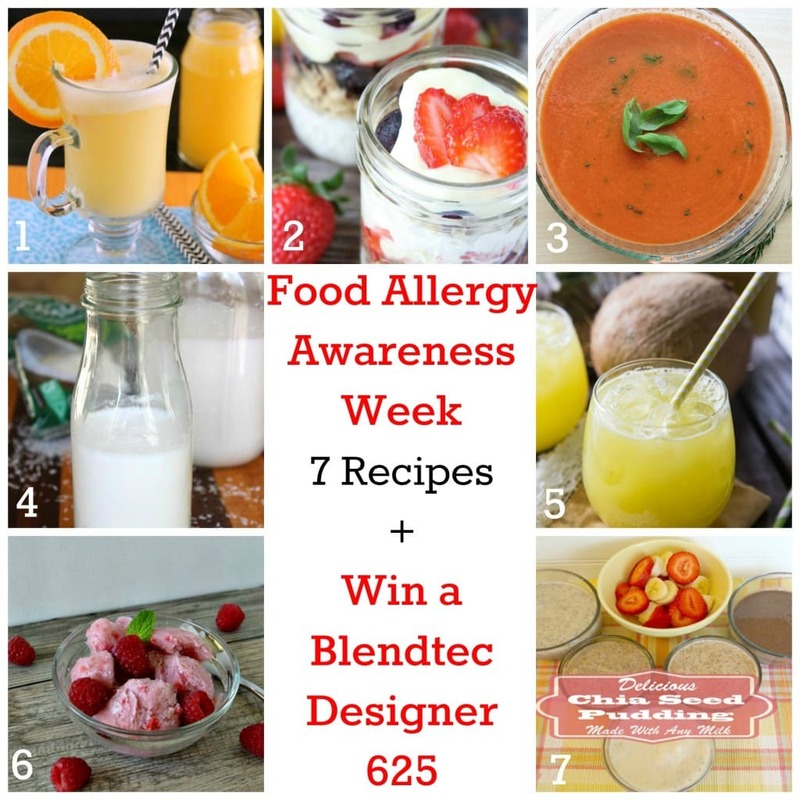 To kick off National Food Allergy Awareness Week we are giving away the Blendtec Designer 625 Series with a Twister Jar! You can enter through the Rafflecopter below. Be sure to check out all the other yummy allergy friendly recipes too! And for more ways Blendtec can help make your food allergy meals easier and some awesome tips check out this post from Holly, Blendtec’s in house dietitian. 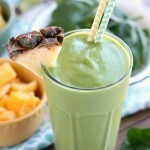 Tropical Green Smoothie + Blendtec Giveaway! Luckily I don’t have any food allergies. But some times I just feel like being extra “healthy” and will alter recipes for that reason alone. Ooh, I am SO down with these gorgeous drinks! Orange julius is my FAV this time of year! This looks so refreshing and I love that it’s allergy-friendly! ‘m so glad that I don’t have any food allergies, but I still neeeed to get a good Blender! I absolutely adore smoothies, and I’ve always wanted to get a BlendTec, for not just smoothies, but recipes and nut butters and so much others! This sounds refreshing, luckily no one in our house has an allergies. I would love to win this BlendTec . . . . I’m already thinking of the wonderful recipes I would make with it. My granddaughter was just diagnosed with nut tree allergies, so thanks for the info on coconut milk. I follow a gluten-free, lacto-ovo vegetarian diet. The recipe that I am most excited to try in my new Blendtec is your Tropical Green Smoothie recipe. Amber, these Orange Julius’ look SO good!! I can not wait to try this recipe! Yes, I think I have a food allergy with a combination of Samo seeds and spinach. I would like to try many fruit smoothies and green smoothies in this blender other than the combination that I mentioned. We would drink those soo much this summer! We are gluten free and half of us are dairy free. This sounds great! Feeling blessed to not have food allergies. I would make my own coconut milk with the blendtec and use it to make these orange Julius drinks, a favorite from my youth. The Orange Julius since I used to get those from a hot dog place called Nedick’s when I was a kid! I think I have a few food ‘allergies’, but they are not severe enough to have issues with them most of the time. BUT if I’m under a lot of stress, pollen levels are super high – those allergies tend to become an issue! No food allergies that I know of but I do have some intolerances. I follow a gluten free diet. My brother is dairy-free and just getting into smoothies. I am gluten free and would love to try berry smoothies. I avoid gluten and dairy. Can’t wait to try this! No food allergies, thank goodness. I have a lot of frozen blueberries I need to use (last year was a huge crop); I would like to make a smoothie with them and coconut milk–maybe add strawberries? No allergies here, thankfully. But I like to be sensitive to that for friends who have allergies. We just like to eat healthy and yummy! I don’t have allergies, but I’d love to have a blender powerful enough to handle anything I want to cook. Please send a Blendtec this way! Sounds delicious and refreshing! I will add it to my summer and spring recipes. Thank you! Yum yum! I have no food allergies, but I just made one, tweaking slightly, as I am watching calories. Used one whole navel orange in place of oj, added about 1/4 of orange’s skin, used 2 small packets of stevia in place of powdered sugar, and the rice milk and ice as in recipe. Wonderful! That’s great! Thanks for sharing your substitutions! Don’t know if I’m officially intolerant, but milk is not my friend. Still, the first recipe I would try would be my favorite milk shake recipe. It’s actually more ice cream than milk the way I make it … so yummy! I am diabetic and am always trying to eat healthy. I am allergic to shellfish, but I don’t care about that! 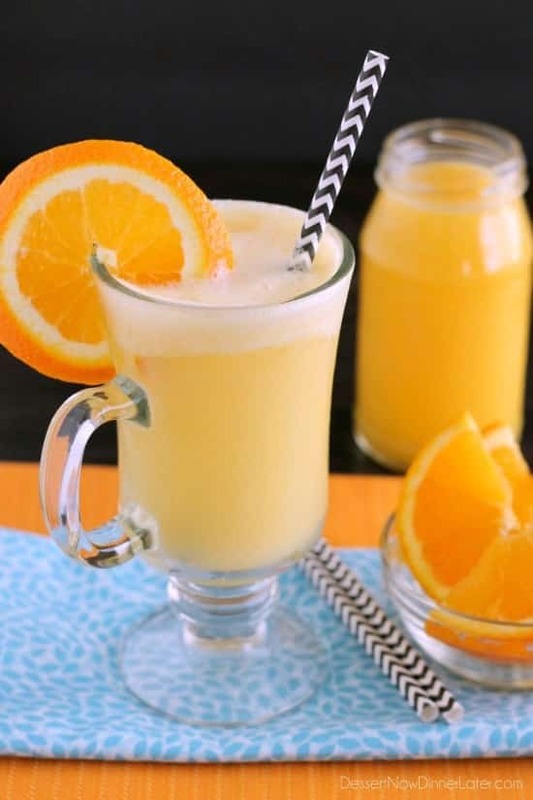 I LOVE Orange Julius and am excited to try this recipe! 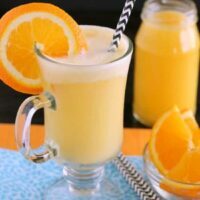 I don’t have any food allergies, but I would love this try this Orange Julius out! I’m lucky that I have no allergies. The best smoothies are my morning ones, the pick me up is addicting! 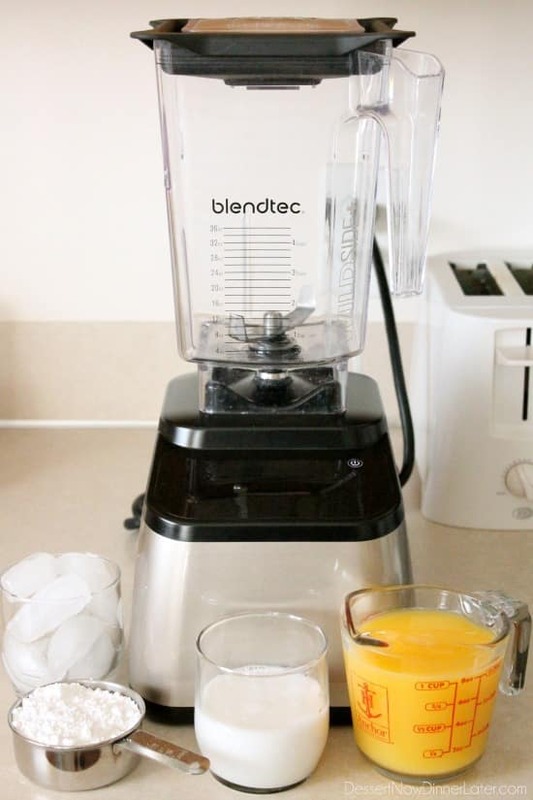 Could use a Blendtec to keep me fueled and healthy! No allergies. Orange juice is now on my shopping list, can’t wait to try this. I’m looking for more ways to use coconut milk in place of dairy. I’m also going to try this combination as a popsicle. No real allergies, but I sure feel better when I eat real food, and lots of fruits. I love to start the day with a smoothie, but I have a old blender.. you can’t make an awesome smoothie.. I also would love to make my own hummus, which I can’t with my current blender. boy I need to win a great Blendtech. You know how I feel, I bet…. No allergies, but i do like fresh fruit & veggie smoothies. I used to be lactose intolerant, luckily i grew out of it because i never could stand any of the substitutes! Though the whole coconut milk trend now is pretty tasty! Since following a plant-based/vegan nutrition plan, I’d start with Blendtec’s Vegan Berry Smoothie recipe. I really appreciate this post. I thought I would never have to worry about food allergies until my littlest was diagnosed with peanut, egg, and soy allergies. I would so LOVE a Blendtec for making green fruit smoothies and soups!! Just mangos and fried food. This would be awesome. I would make a strawberry banana smoothie first, or maybe a strawberry milkshake. I have issues with gluten, not a full blown allergy but some intolerance. Husband allergy is beef of all things!!!! Always glad for a new chicken recipe. Could stevia or xylitol be used instead of powdered sugar? Cashew milk instead of coconut milk? For sure! Add stevia or xylitol to your personal taste preferences and you can definitely substitute cashew milk for the coconut milk. No food allergies, but would love to make the orange Julius. I miss those. I don’t have any food allergies, but my mom is gluten intolerant. This Julius looks so good! Thanks for all of the information regarding allergies. 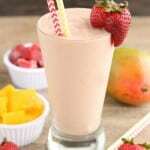 I love smoothies and this recipe looks fabulous! I have no food allergies or food intolerance and the first recipe I would love to make is vanilla bean ice cream. I have a few food sensitivities such as nuts and whey protein (unless it’s lactose-free). I’d love to make smoothies with this.